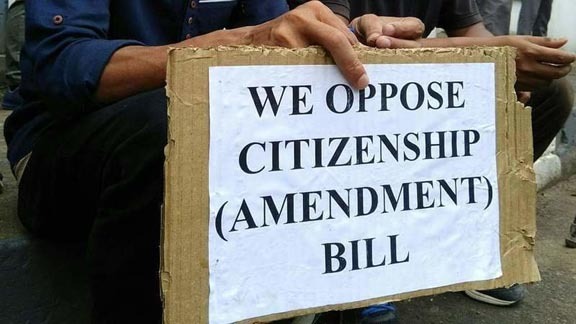 The Nagaland state unit of the Bharatiya Janata Party (BJP) has endorsed the State Cabinet’s decision to oppose the Citizenship (Amendment) Act, 2016. This was informed in press release issued to the media on Saturday by the BJP Nagaland state general secretary. The decision was taken through a resolution passed at a meeting of the office bearers of Nagaland BJP unit held on Saturday, according to reports. In the press release, BJP Nagaland state general secretary, Jaangsillung Gonmei, stated that the party has also resolved to convey the concerns of the State to the central party leaders through a party delegation comprising party leaders and legislators shortly. Meanwhile, informing that the state executive meeting would be held soon, BJP state unit has therefore advised the state frontal presidents and district presidents to prepare the reports accordingly, the statement added. Besides, it has also asked to forward other latest details of all the office bearers in the districts, mandals and booth levels, inclusive of frontals, cells and committees as sought by the state office. The statement further stated that all district presidents have been asked to ensure that the above requirements from their respective districts were submitted within two weeks.